There are 3 things in the world I could look at forever: Fire, other People working and the Diablo 3 resource bubbles. I already fell in love with Blizzards art style like you maybe noticed in my article about their 2.5D trees. But today we’ll have a deeeep look at Diablos crystal balls and search for the truth. 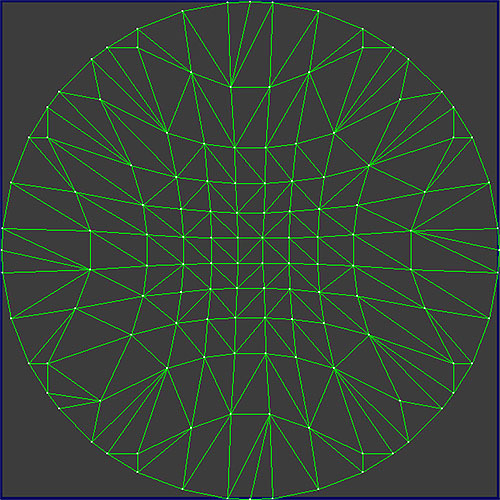 Take a polysphere, cut it half and pull some textures over the surface. Why is it wrong? Because i checked the ingame wireframe of the “bubble”. Guess what? It’s not a bubble! Here you can see my approach (red sphere) and the Diablo 3 mesh (green) which btw. contains only 218 tris instead of my 960. I asked Neox and he suggested to take a sphere, bake it into a normal map and do the rest with a shader. This is a good idea but i couldn’t find such a texture in the Diablo files. So why the hull do i waste your time with this nonsense? Because mikiex posted a great example which is similar to Neox’ idea. I think this will be my next article. For now, just look at the image and see how great the world is wrapping around the sphere. But it’s not the way the devil went. So let’s talk about the right way. It maybe doesn’t look like a perfect sphere (more like a round hat) but since the border areas of the bubble are mostly covered by painted reflections or this sad stone angel, it works very well in my eyes. In fact, i think it looks awesome. But moving only one texture wouldn’t create this beautiful mix of motion & depth. Thanks to the D3 model viewer we can see that there’s not only one plane. 666 points for you, if you noticed that these textures contain the totally wrong color & pattern. As an old Diablo 2 player i searched for “Mana” in the files but in Diablo 3 the stuff of the Wizard is called: Arcane Energy. Mana is used by the Witch Doctor. But i think they re-use the Mana-Bubble-Mesh since i can’t find any special geometry for the arcane sphere. bb0x had i great question about the line which appears when your resources aren’t 100% full. This line isn’t bent and he mentioned that they maybe used a 2nd UV layout for this. Lucky for us that Julian Love mentioned how it was done here. 03 is the alpha channel of 02. Except for 04 none of the other textures does have an alpha channel. I really dig how they let the fluid texture reach a bit above the actual filling level. 04 and the 3 other small textures are used for the level line. If you look at it drawcall by drawcall you see a transparent sphere and i think 01 is used as alpha for it. I don’t get why the other stuff is rendered later, but i guess this isn’t how the game handles it. You reached the end of the article. Simon is too sad to write more because he doesn’t like that he couldn’t find more information about the texture blending. He hopes that Blizzard hires him as a sad angel sitting on the left side of the bubble. Then he could gather more awesome stuff directly from the art heart. Thanks to these holy programs: D3TexConv v0.9b & MPQ Extractor & Blender. Without i wouldn’t have been able to make this article. Each texture is actually an instance of the same texture, but each stage has a different UV offset, UV scroll speed and UV scale. MikieX mentioned a really nice link about shiny balls. Can’t believe that this is just a sprite with heavy pixel shader magic. How awesome is that? Apex re-coded the bubble and it even contains a slider to manipulate the fill level! It’s made with Unity and can be seen here. Check it out! mourelask re-coded the bubble too: It’s also made with Unity and can be seen here. And if you wanna know every detail about how he did it, read his new blog post! Another re-made bubble! This time it’s coming from Utamaru56 and can be downloaded here. 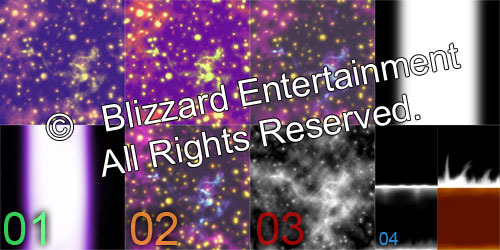 This entry was posted in Game Art Tricks and tagged Bubbles, diablo 3, Resource on 25. March 2013 by Simon. This looks like your typical perlin noise domain warping to me. I’m wondering if it’s more efficient with 218 tris+UV layouts for each or with 2 tris and prerendered distorted UV-cooridinates texture. Hm…i deleted your comment because it looked like spam. Was i wrong? I’m attempting a Wizard globe in UDK’s material editor. Right now I’ve just been working on the diffuse portion, playing with the UV animations, tints, and how they overlay. Wow, awesome that i inspired someone :) Looks cool to me! I made this on unity3d. This looks crazy good! Thanks for the link! Will it stay in your dropbox? If you allow, i would love to add a link to it into the article! But, link is not permanent. If possible, please put the this resources directly on your site. Hello ! Can you share source code project Unity3d? It is probably a bit late but I figured alternative way for UV layout. Done in Blender (obviously). Right order of unwrapping is crucial. Did the same effect some time ago with ActionScript 3 and Adobe Flash. Just rotate some texture (or 2-3-4-5, whatever) and render it with displacement shader. Nothing special. Pretty simple. There is a solution for unity on the asset store. oh nice! :) thank you for the link! great article! There’s one thing I don’t understand though. How did Blizzard achieve the waterline/fill-mask effect with bent UVs? I read through the comments and noticed the one saying the waterline gets distorted as well but tbh I don’t think this is true. Just look at your .gif of the scrolling checker material, especially at the very top an bottom, no way that an almost-straight waterline texture won’t get distorted so that it isn’t noticable. I’m currently trying to recreate this effect in Unity and was successful with a 100% filled orb, but the waterline and below-100%-masking is boggling my mind – did you get any additional insight regarding this topic in particular? I think they just place the waterline-mask (number 04 in the textures overview) on top of the hard cut between “nothing” and “fill”. Maybe they offset the UVs of the waterline a little but to give it some extra-movement … ? I think you misunderstood my question/observation. What I was trying to explain was: They modified the mesh’s UVs in a way that a circular, flat mesh looks like a sphere. That works perfectly for the fluids/contents of the orb, since its scrolling textures get distorted on the outer borders of the mesh, indicating 3D roundness. However, if you apply a waterline texture using the same UV layout, it will (like the fluid textures) get bent and distorted as well. In the .GIF you provided you can see that Blizzard’s waterline is straight as an edge, no matter whether it is in the middle or near the end of the circle. However, I think I found out how they did it. I’ll implement this in Unity – if you’re interested I can give you an update and detailed explanations once I’m finished. Here’s the current state of my implementation. The textures etc are WIP, I just wanted to test out the shader and basic setup. I can provide a step by step tutorial on how to achieve this effect in Unity if anybody is interested. Dude your resource sphere looks awesome. Can you make a tutorial for it? Maybe share some code to what make it work? I am new to the shaders and that kind of an example would definitely help me. However, there are a couple of things that I don’t understand. 1) Are we multiplying textures by their rgb channels? What happens to the alpha channels (03 for example)? 2) How do we actually create the waterline? I read the article so many times but I am still lost on that. When I multiply waterline with other textures I get weird solutions (there is no significant waterline like in diablo, but instead I get a bad gamma line) as you can see in the link above. What are tex1 and tex2? I think I am doing something wrong with multiplications and alpha channels. Any clarifications would be greatly appreciated.